The synonym for a protein bar is convenience. These colorful and nutritional treats are a brilliant replacement for your protein requirement. You can easily carry them around at work or on any adventurous trip and boost your energy levels from time to time. The existence of protein bars have made life easier for professionals on the run or those striving to lose weight but cannot control their brimming hunger pangs. 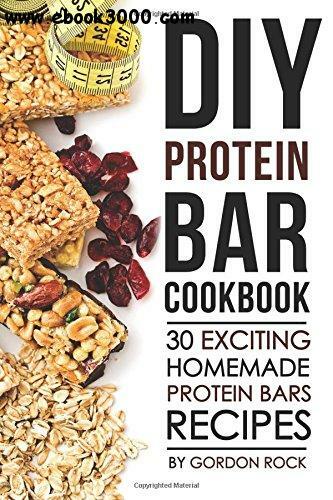 This DIY protein bar cookbook is designed to provide you with super easy DIY protein bar recipes that you can store in airtight containers and they will last up to weeks and in a few cases maybe even months. These homemade protein bars are a great way to stay healthy and keep a tight check on your weight, all the while keeping you full.